This week we have added a new connector that can convert HTML content to plain text, which was a top ask on our community. For example, when you receive emails that are HTML formatted, you may want only the plain text representation of that email. 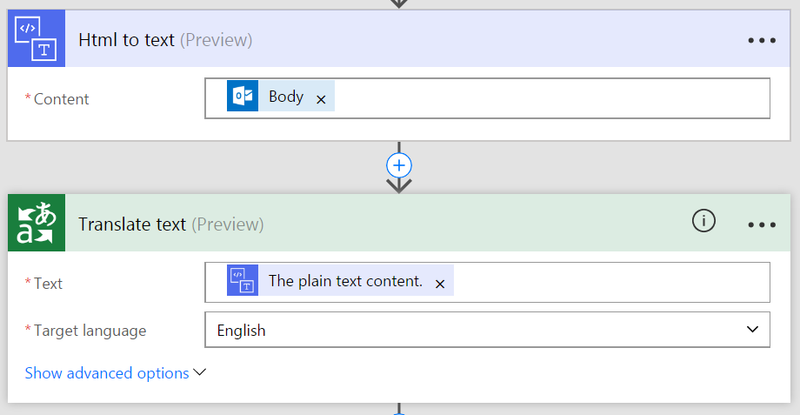 The conversion to plain text will remove all formatting, although it will attempt to preserve some aspects like Tables and Links so that the content is still readable. To find this new action, just search for HTML when you add an action. PostgreSQL – a relational database management system developed by PostgreSQL Global Development Group. Teradata – a relational database management system from Teradata Corporation, typically used to support large data warehousing operations. 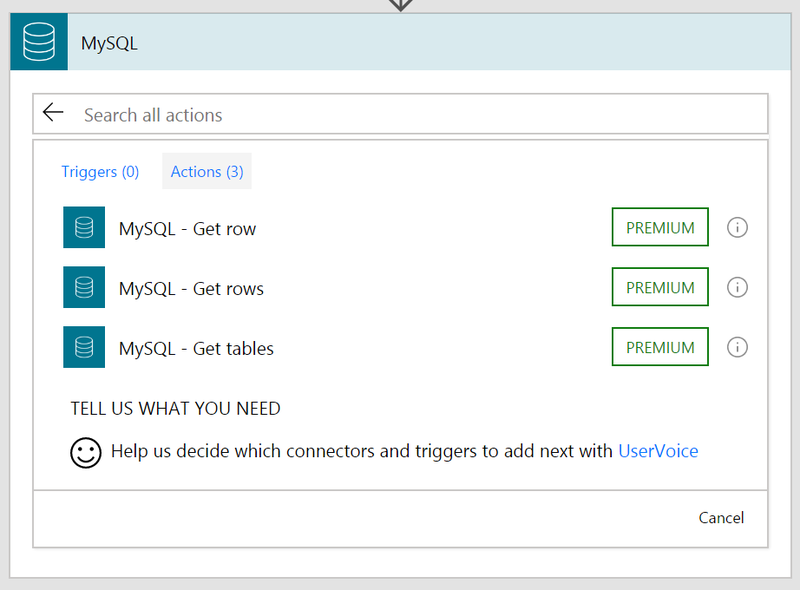 These all can be used to connect to your on-premises databases and read data using the Get row or Get rows operations. Note that in order to use these three new services you will need to install the On-premises data gateway (even if the service is available for the cloud). At this time, we do not currently support writing data into these databases (although that is on our product backlog). 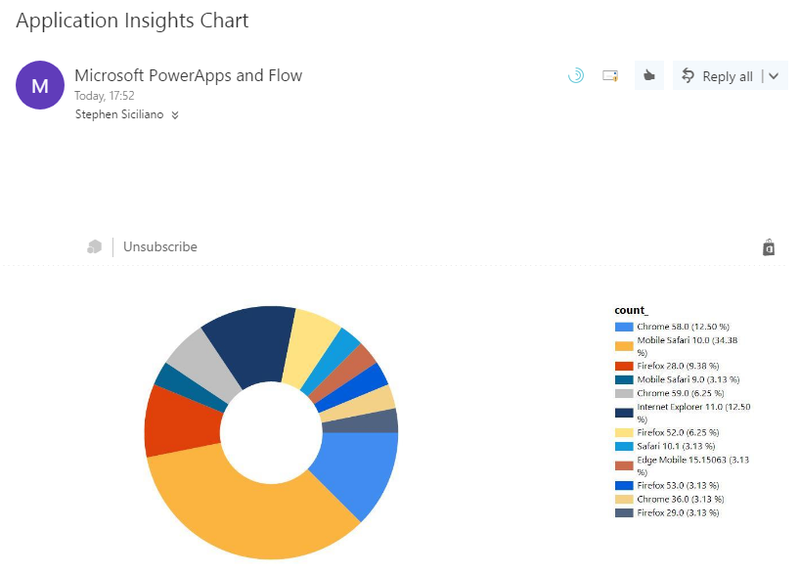 If you have a Web application, Application Insights is a great way to monitor and analyze your performance and usage. To get started with Application Insights you'll first have to get a new API Key from portal.azure.com. Select the application you're interested in and find API Access in the Configure section (it's near the bottom). Then create a new API Key and ensure it has permissions to Read telemetry. 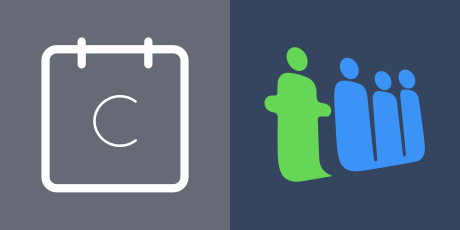 Calendly – Calendly helps you easily schedule meetings based on participants availability. Teamwork Projects – Keep all your team's tasks in one place. Collaborate and work in real time for real results. Teamwork Projects is a powerful and simple way to collaborate with your team. Please let us know on our community what other areas we can make usability improvements in.